NICVA is pleased to announce it has invited the Fundraising Regulator to oversee and regulate fundraising in Northern Ireland. NICVA Chief Executive, Seamus McAleavey said “We established a Working Group and carried out a full consultation on the issue and concluded the Fundraising Regulator, already established in England and Wales was the best option for a voluntary regulation scheme in Northern Ireland. Our decision to act on the matter was in response to the Etherington Report an investigation into fundraising practice in England. 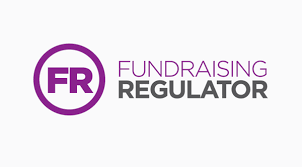 The Fundraising Regulator will provide confidence to the public by investigating any complaints anyone may have about any charitable organisation’s fund raising practice. They will also encourage and advise on best practice. "I am delighted that, following NICVA's consultation, charities in Northern Ireland have committed to excellent standards of fundraising by supporting the Fundraising Regulator and the Code of Fundraising Practice. We look forward to working closely with NICVA, the Charity Commission for Northern Ireland and Northern Ireland charities. We will shortly recruit a Board member for Northern Ireland by open competition." Neil Irwin, Chair of the IoF’s Northern Ireland Committee, said “The IoF in Northern Ireland will always work with our members to build high standards and support best practice. We are committed to working with charities, the Fundraising Regulator and other sector bodies to raise awareness of the Code and regulatory system, and to ensure that fundraisers are able to adapt quickly and easily to any changing regulatory structures.